The last few posts have been short on photos......so unlike me. 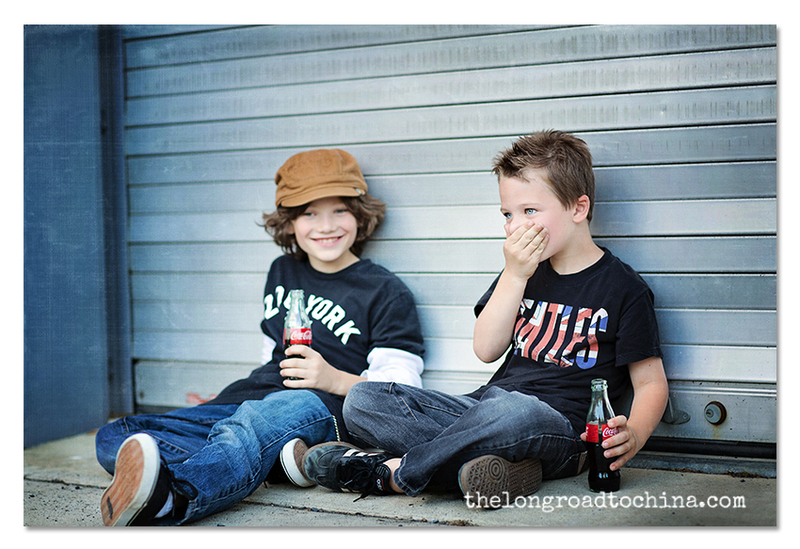 Last Saturday I had the pleasure of photographing these two adorable little guys!! I have known their Mom for most of my life. We lost touch after high school but recently reconnected through Facebook. Tiffany, my friend is a beautiful girl inside and out and when we were growing up, she did some modeling and acting. She actually still does a little of both, and her two cuties do as well!! Will is a TOTAL NATURAL. He really could not take a bad photo if he tried! or print ads for the Estee Launder perfume, Beautiful, then you have seen Will. That is him all dressed up with the "beautiful" bride. 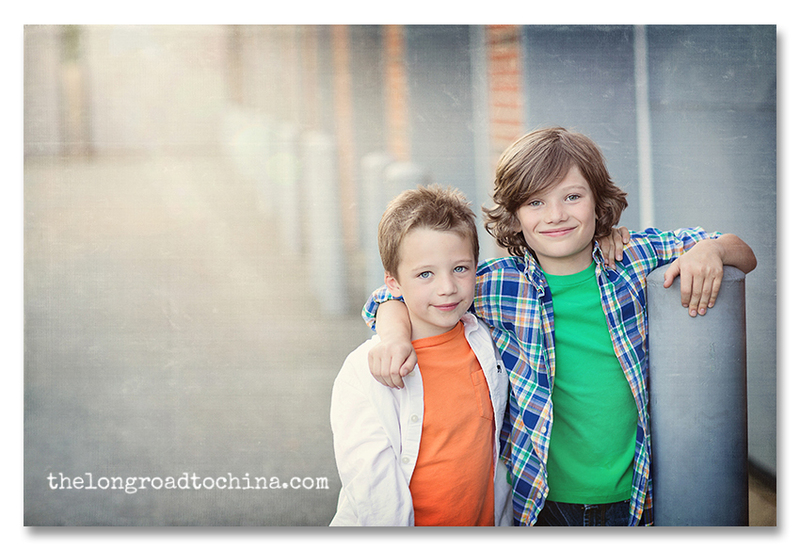 It was a rather warm evening, so I had a treat up my sleeves that the boys loved and at the same time, it added a fun new element to the next few photos! Zach is about as precious as they come! He is super sweet and he literally had me at "hello". Look at those baby blues and that funky hair! And then there is supermodel Will!!! No matter if he is smiling ear to ear or serious, the camera just LOVES him. 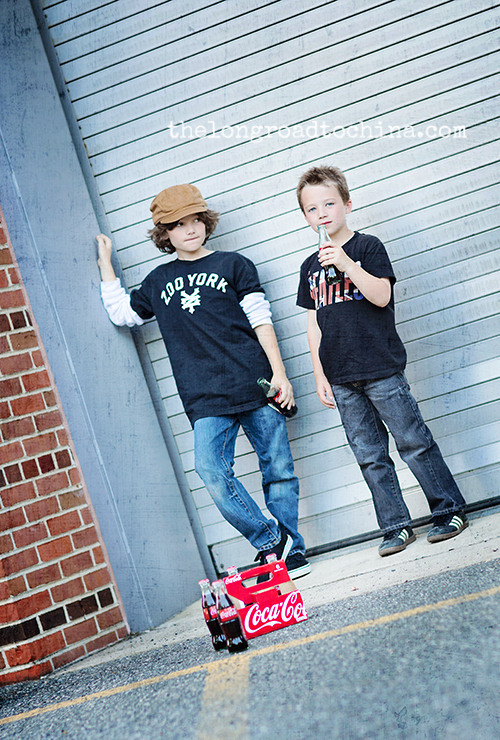 After the sugar kicked in, the boys slipped into something else, just to change things up. I had such a fun evening with Will, Zach, and my friend Tiffany! The time flew by and once we parted ways, I was anxious to get home and start the infamous download! Trust me when I say, I have never had so many "keepers" in one session. These cuties made it extremely hard for me to narrow down my editing selection. I hope that they love these photos as much as I do. It has been another busy week here at our house, but the kids are starting to get into the summer groove. I have a full week of vacation just around the corner...... and I am counting the days.... 6 more work days to be exact, then AN ENTIRE CAREFREE WEEK.....YAHOOOOOOOOO!!! Okay my friends..... it is off to work I go. TGIF and Happy Weekend to you! PS. I received the calibration software and it drastically changed my computer! For those that asked, I used the Spyder 4 Elite. It was pretty easy to use and only took a few minutes to set up. looks like such a fun photo shoot! The kids and photos are just gorgeous! My favorites are the coke shots. Fun! Fun! Awesome, fun shots! So glad the calibration worked:) Thanks for sharing the one you picked. Have a great weekend. They both are very handsome! ;) I looked up that commercial on YouTube, it's lovely. Wonderful photos!!!! Aren't they cute! I bet it was great to work with them & all their experience in front of the camera. Their comfort just shines through. How fun! This looks like such a fun day of shooting! What very cute boys!!! 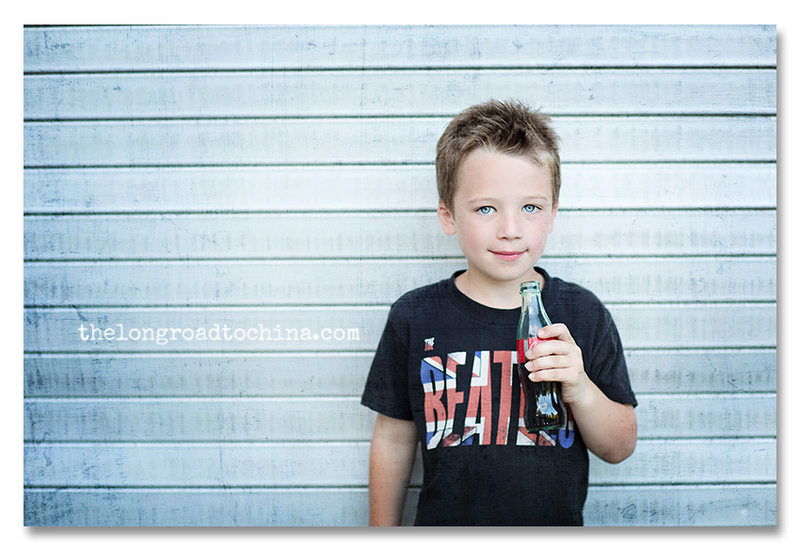 Love the coke idea! All these shots came out amazing! Looks like a fun photo shoot! And what great models! They are so handsome! oh my goodness! what handsome boys!!! you got some amazing shots!! love the addition of the coke ... fun!! i'm sure your friend will be over-the-moon in love with these photos! Now THAT is some serious handsomeness! Surely that is a word?! wow they are so handsome! great shots, love them all! Your photography always amazes me! Beautiful captures!! These are so cool! Love the simple props. 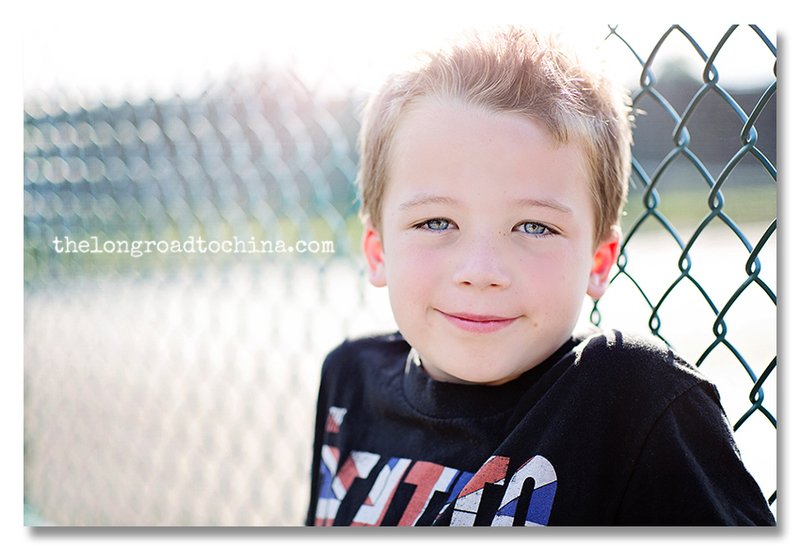 I opened your blog hoping for photos of your family and then fell in love with these photos. You are so talented. 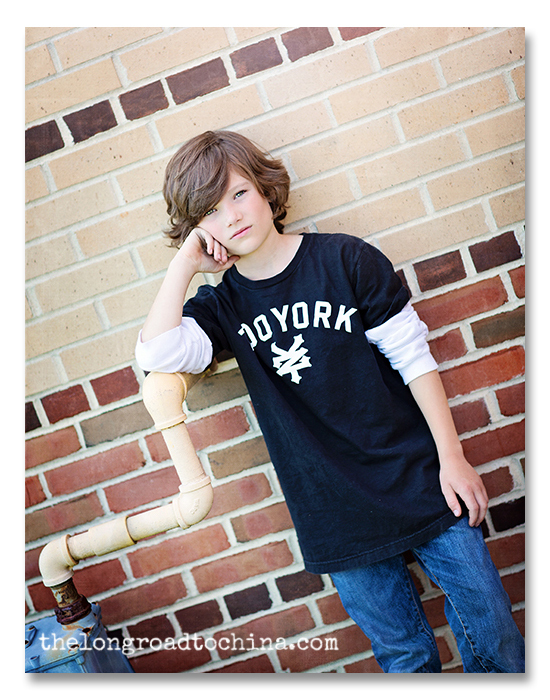 The kids may be terrific subjects but it is your photography that makes them look so great. OMW, THESE ARE SOME SERIOUSLY CUTE LITTLE GUYS! I love these photos. Bet their Mom is going to go wild over them. Sure brought some smiles to my face! Great job Lisa. I'm sure we'll catch up next week. Think cool, like Alaska cool. WOW!!! love these!!! So fabulous. They are both so handsome. Wow these are spectacular. What handsome guys!! you captured them perfectly!! Thanks for sharing them! Those are awesome photos! 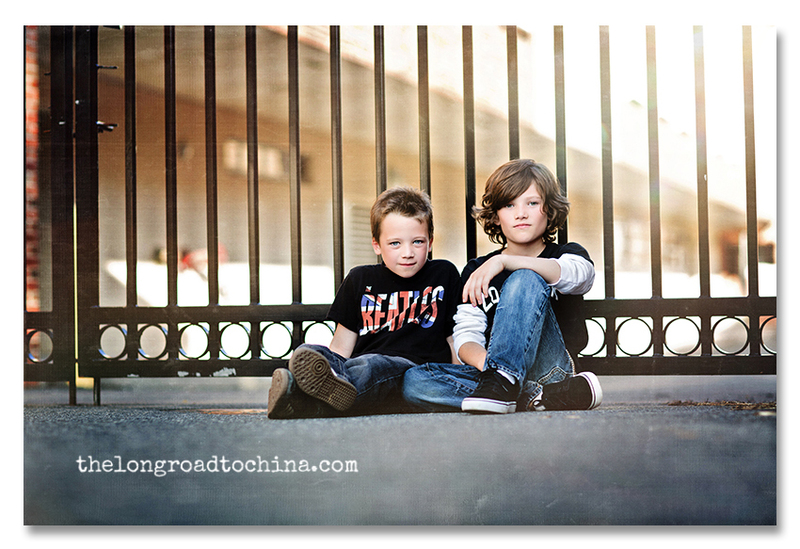 Those boys are going to melt some girls' hearts in a few years. Those boys are sooo handsome! Oh my - you could drown in those eyes! 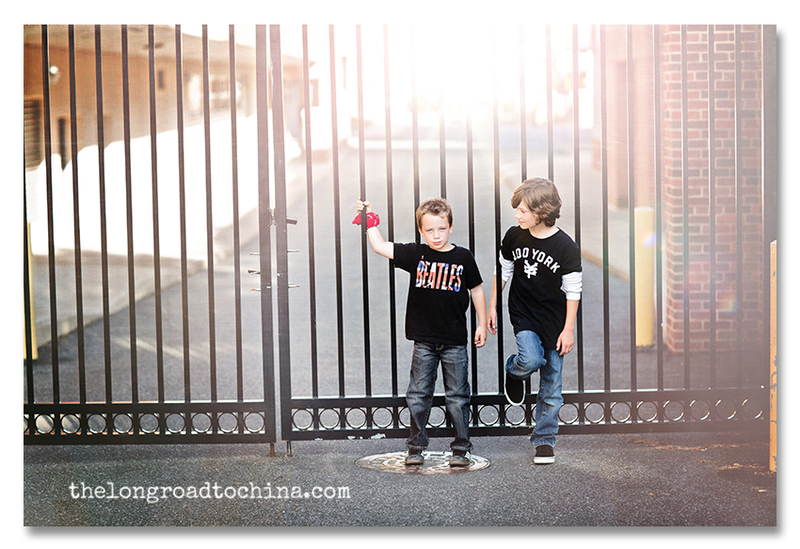 These boys are going to be heartbreakers some day! Cuties! - Your photography continues to amaze me. I'm not a portrait photographer, but I hope I can learna to create such stunning images in my own work. Seriously? Are they for real? SOO handsome, awesome photography once again! 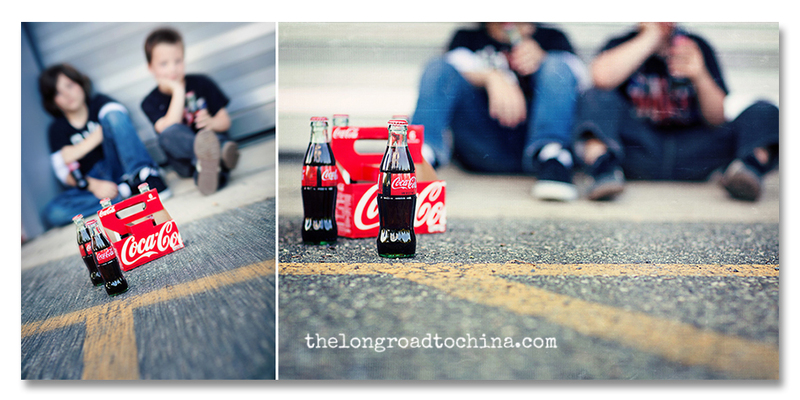 Well I could never take photos like that, but you have inspired me to get some Sun Drop in bottles. OK, we're in TN, so Sun Drop is king around here LOL! Plus my hubby loves the stuff and so do our boys. If I pull these out, maybe I'll have some more willing models (b/c though mine are adorable they aren't very willing ;). How in the world do you find the backdrops. I LOVE your shots b/c you make them look so REAL. Do you just find places around your town and use them? Do you ask? I guess I'm just not sure. What about other people being around? If you don't have time to answer I understand, but if you ever do Q&A, I'd love to know how you find these locations I see on your blog and often think how cool! 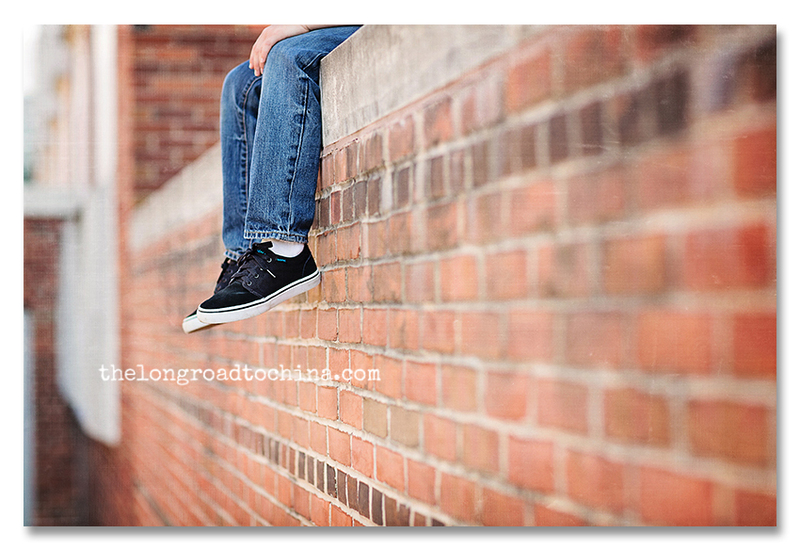 As a Mom of 4 sons, I really love the lines and backdrops here. Thx for sharing the photos and the inspiration! I think I am going to talk you in to letting me fly you here to do my kids!!!! These are so great Lisa!!! And, I am glad to hear the software did what you expected it to do.. I am definitely going to check into that now!!! Tiffany is a blessed Mama to have you in her back yard!! And, as for those boys!! Amazing! I do remember Will!!! 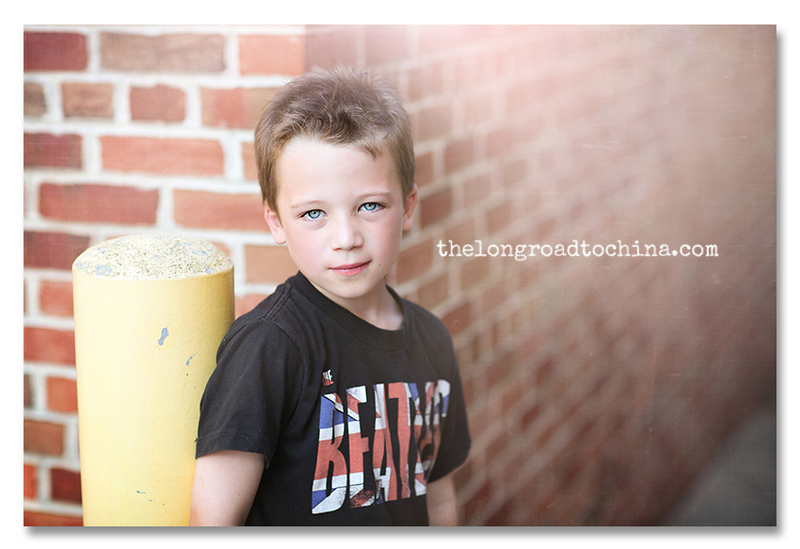 I wish you lived close to me b/c I would have you photograph my kids! These are MAGAZINE WORTHY!! I agree w/the HANDSOME YOUNG MEN mom Tiffany!! You are right up there w/the best of 'em!! Great job! Great looking young men!! Only one of these images is loading for me - UGH!!!! I don't know why I am still having issues with viewing some blogger photos. 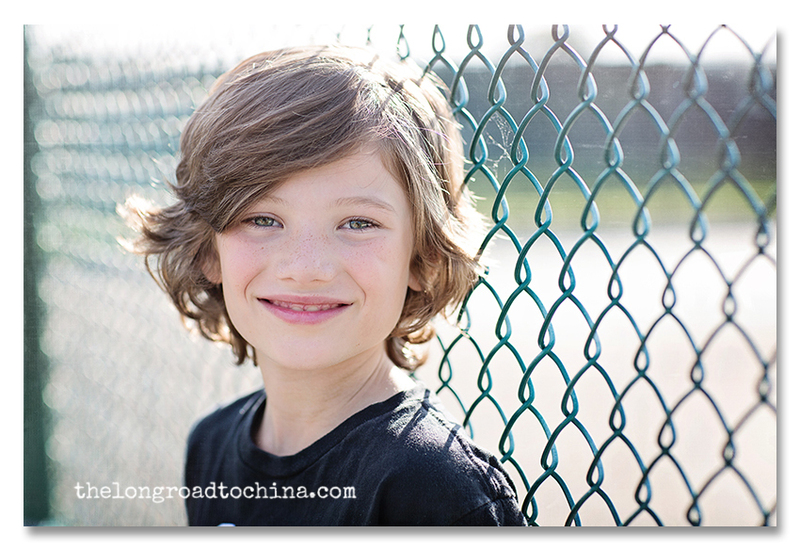 Well, the one of the handsome boy on the fence is fabulous!! I hope one day soon this issue will correct itself and I'll get to see the rest! Just wanted to stop by and say hello. Sorry for missing your call the other day, will try later this evening if I can keep my peepers open lol. 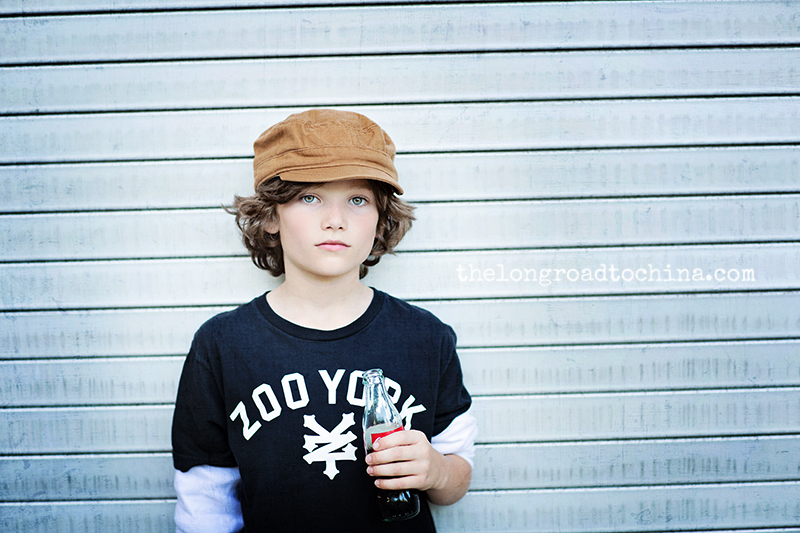 I really love these photos of your little models here. So awesome! 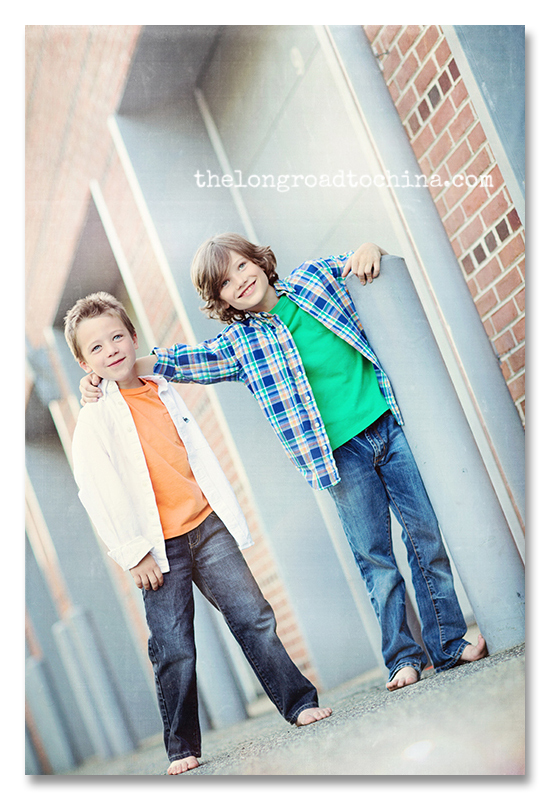 Funny how little backdrops mean when you have two handsome boys to work with. You made the asphalt even look good! Off to grab some coffee and then get the girls to settle in. What handsome guys! Love, love, love these pictures! The Coke adds such a fun twist too! So glad the calibration worked. Makes me think I really need to invest in that. I haven't never touch my mac settings.